I would like to extend a warm welcome to all attending this year’s free Iran convention held in Paris. The well-being of the Iranian people is a critical issue to me, and that is why I am pleased that this event exists to spread awareness and build support for change in Iran. In the decades since the revolution of 1979, millions of Iranians have struggled under the weight of an oppressive and hard-line regime. While I am proud that the United States and many others have continuously stood up for the freedom of the Iranian people, I know that there is still much we can do to demand change. Advocates such as you make it clear to all that the Iranian people have had enough and are eager for reform. It is tragic that the people of your homeland have had to endure numerous abuses of fundamental human rights and freedoms in recent decades. Thanks to efforts such as yours, the challenges facing Iranians have been brought to international attention. I commend each of you for all you have done to strengthen ties among the regime’s opposition and for all you have done to fight for a government that represents the interests of its people. Please know that I will always remain a friend of the Iranian people and be their champion in the U.S. Senate. 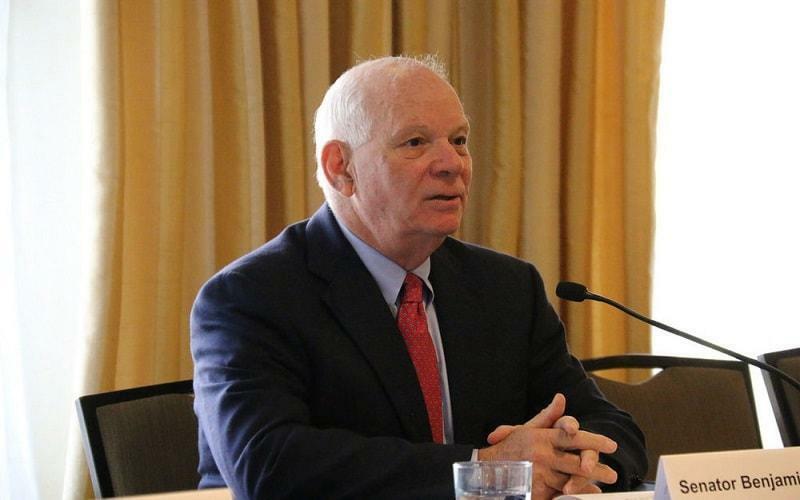 • Sen. Cardin is the Ranking Member on the Senate Small Business and Entrepreneurship Committee, and Ranking Member of the Senate Foreign Relations subcommittee on Western Hemisphere, Transnational Crime, Civilian Security, Democracy, Human Rights, and Global Women’s Issues.